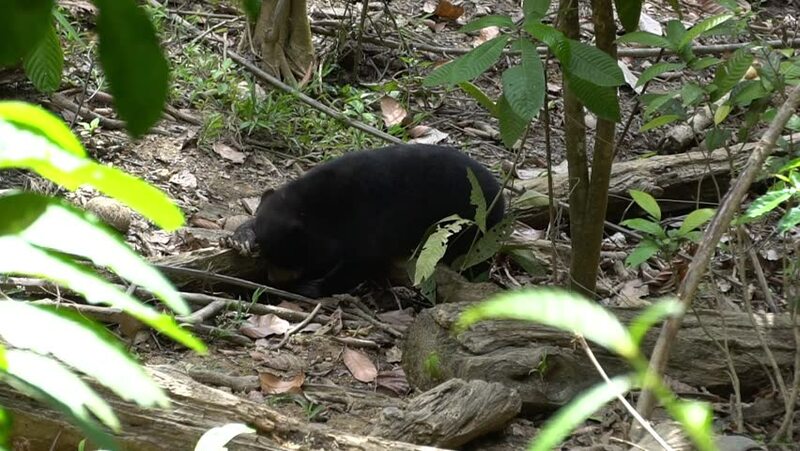 Borneon Sun Bear in Sepilok, Sabah. Borneo. The Bornean Sun Bear Conservation Centre is located next to the Sepilok Orang Utan Rehabilitation Centre, Mile 14th Sandakan. Sabah. Malaysia. hd00:27Pair of painted turtles in Alfred Bog. hd00:18A panda bear sits and eats bamboo in Chengdu, China.